The exercise is part of the Sochi 2014 Excellence Programme and organised by the IPC Academy. Prior to the 100 days to go mark until the Sochi 2014 Paralympic Winter Games, members of the Organising Committee took part in simulation exercise whereby they had to deal with a number of virtual incidents they could potentially face next March once the Games begin. Organised by the IPC Academy, the exercise marked the final pre-Games activity of the Sochi 2014 Excellence Programme, an integrated learning programme that started three years ago and aimed to transfer knowledge from previous Paralympic Games to the Sochi Organising Committee. The simulation exercise was designed to create a lifelike experience of what the first day of the Paralympic Winter Games may be like with the Organising Committee and stakeholders having to deal with a number of real life scenarios. The aim was to test a number of the Organising Committee’s operating systems in preparation for the Games which get underway on 7 March 2014. A number of virtual incidents were created using structured scenarios which were interspersed during the four-hour long exercise. 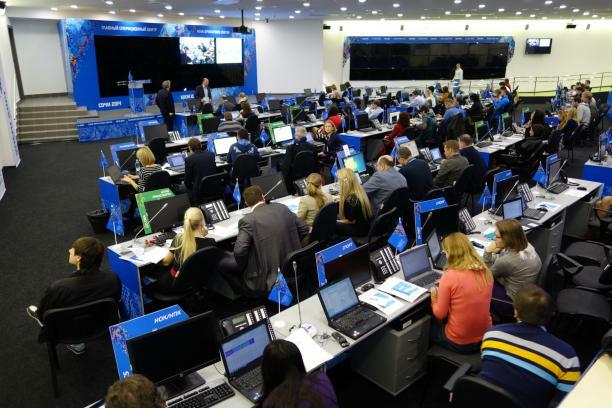 Various Sochi 2014 departments including the Functional Command Centres, Venues, Main Operations Centre and External Command Centres had to react and respond to the situations. Delegates had to analyse and choose the correct course of action, have coherent internal and external communication as well as interaction, decide on issue escalation and ultimately make the final decision. Various IPC senior staff were also involved remotely in the exercise acting in their Games-time roles to further enhance the realistic nature of the exercise. The three year transfer of knowledge programme that climaxed with the simulation exercise was spearheaded by Apostolos Rigas, the IPC’s Head of Knowledge Management. Rigas said: “It is a great step forward in our knowledge transfer that we are able to complete the pre-Games activities with such an exercise. “Many of our staff and the IPC Academy have been working with Sochi 2014 to help them prepare for the Paralympic Winter Games next March. Chris Solly, Director of the IPC Academy, explained the educational vision behind the programme: “We have worked for over three years with Sochi 2014 as they have planned for the Games. It is critical that we see what they have learnt about the unique elements of the Paralympic Games is built into their systems and operating processes.